We will continue to run activities everyday of the week, and activities that run in the morning, afternoon and evening, including the Kids Club which gives children a break from their everyday life. Twice a week - rain, hail or shine - volunteers from Street Outreach assemble to distribute food and clothing to Dublin's homeless community. Living on the streets is extremely difficult, especially in winter, so we're always looking for volunteers. Just having a quick chat or even proffering a friendly smile can make a big difference to a homeless person. 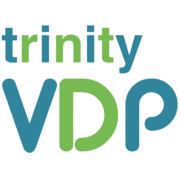 Trinity VDP organises weekly activities for a group of intellectually-disabled adults ranging from bowling to arts and crafts to karaoke and more.